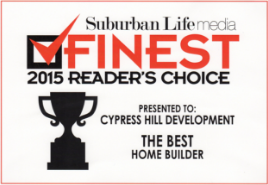 Cypress Hill Development is a professional custom home builder in Clarendon Hills. We have designed and constructed over 40 custom homes in the Chicago west suburbs area. Our close knit team of professionals can work with you to design your home and assist you all the way through the construction process. We can build on a lot you choose or we can offer you one of ours. Cypress Hill Development has all you need for building your custom home. Contact Cypress Hill today by calling (630) 241-9330 and begin drafting the plans to your custom home in Clarendon Hills. You can also email us at info@cypresshilldevelopment.com or fill out the form on this page and one of our knowledgeable representatives will get back to you promptly. At Cypress Hill Development, we understand that designing a home can be intimidating. It is an investment that should be carefully considered and cautiously executed. 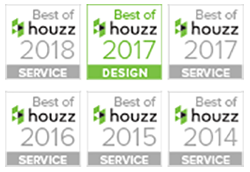 Our experienced team can help you every step of the process, our creative design consultants, architects, subcontractor, suppliers, and general contractor all have the training and experience you can trust to build your custom home. Cypress Hill is proud to provide you with many green building capabilities. We can include in the design of your custom home, plans for high efficiency heating and cooling, insulated windows and doors designed to keep outdoor temps out and indoor temps in, and high performance insulation. We even can supply you with Energy Star rated appliances to encourage future green practices in your new home.